Ha, I’m in an odd mood today. Must be the oven fumes. It’s that time for our monthly roundups (I had to word that in a very intricate way). Yes, months go by fast. Hi guys, I’ve just had breakfast and coffee and I’m in a better frame of mind. This month we went the sweet potato route and I must admit- It’s growing on me in recipes. I’ve really enjoyed the extra sweetness it provides, whilst having a similar texture of pumpkin. This is a ‘win-win’ in my book- It means I can cut back on some of the added natural sweeteners I’d have planned to incorporate (honey, agave, maple syrup, Alexis’s Splenda). It also provides a much more visually appealing color over pumpkin. 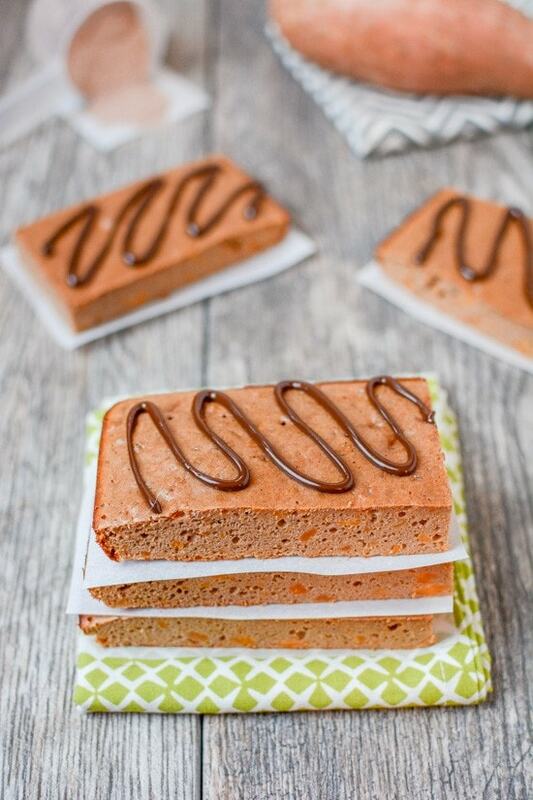 Lindsay shares these sweet potato protein brownies and I feel like doing a Crossfit class for them….tomorrow. 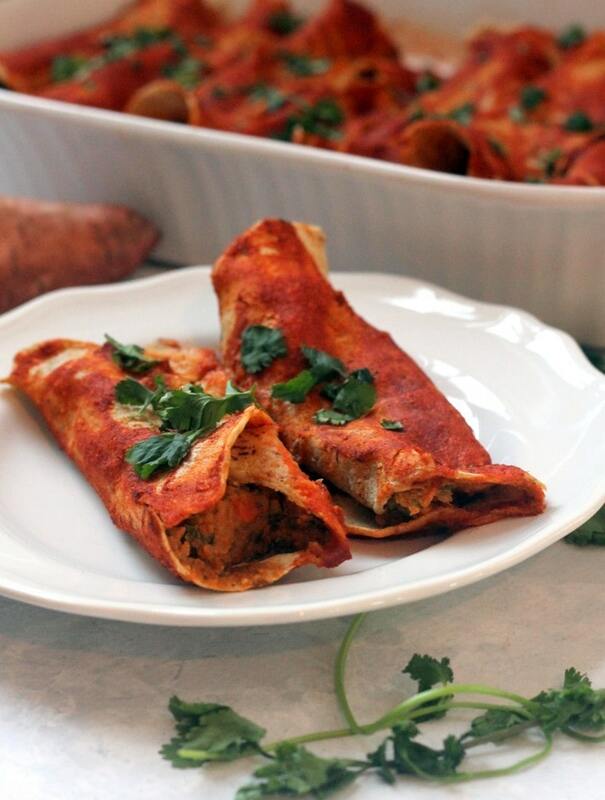 Alexis shares these sweet potato enchiladas and I kind of want to hi 5 her with a slab of bacon…tomorrow. 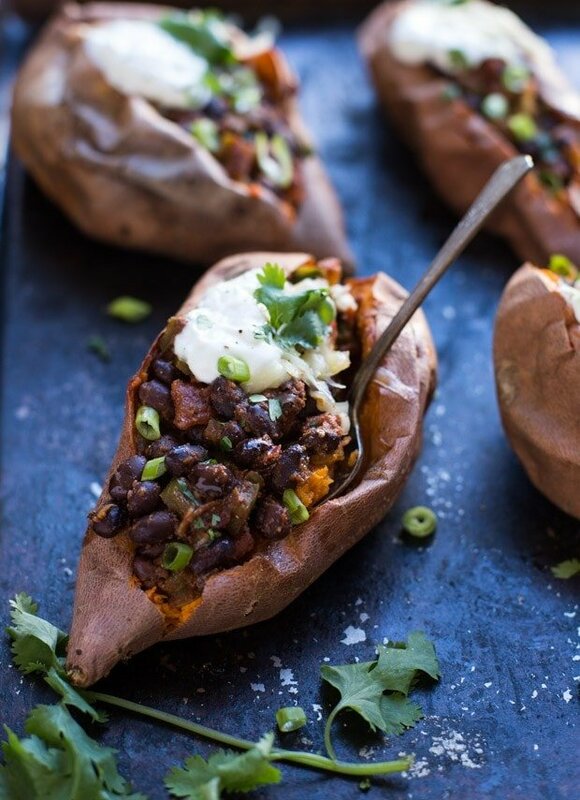 Sarah shares these black bean chipotle stuffed sweet potatoes and I pretty much want to become vegetarian now…until tomorrow. 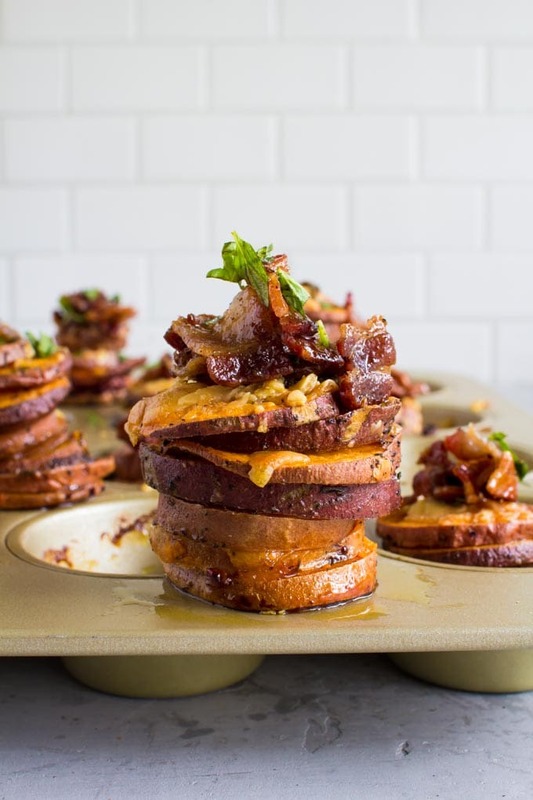 Kylie shares these sweet potato stacks with maple vanilla bean bacon and I just can’t….Until tomorrow. 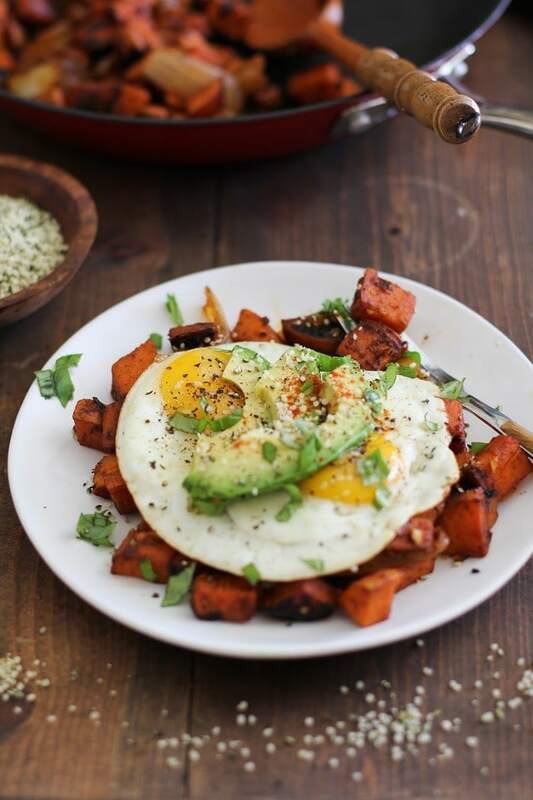 Julia shares these sweet potato homefries which makes me want to never eat a sweet breakfast again…until tomorrow. And here is my offering- The healthy flourless sweet potato muffins! 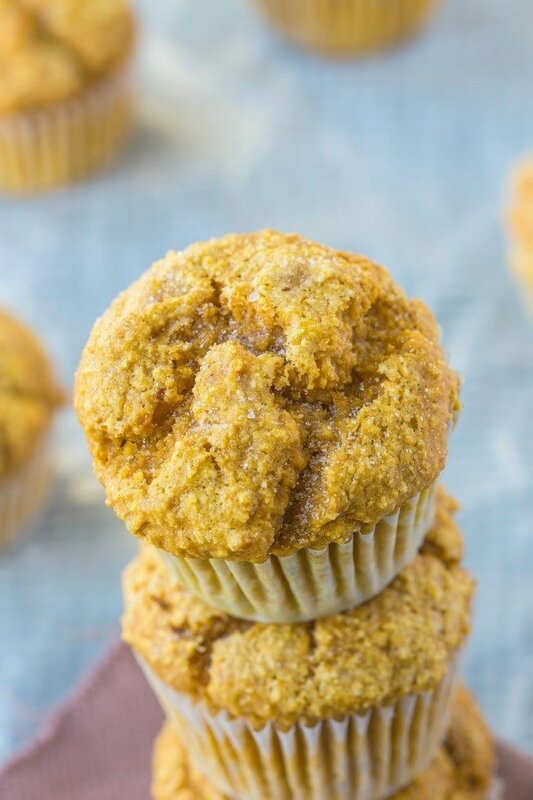 These healthy flourless sweet potato muffins need only one bowl and just 25 minutes to whip up- You actually have no excuses not to make this. They are the perfect snack or healthy treat to have on hand and even the perfect festive treat this holiday season! 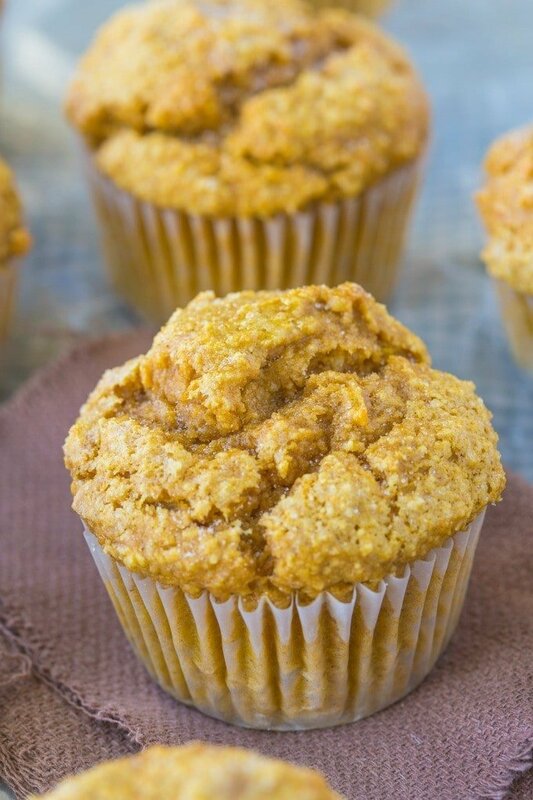 These moist, fluffy and delicious muffins are packed full of fiber (thank you, sweet potato), are flourless (I heart you, oats) and have some healthy fats thrown in for good measure (nut butter/coconut oil- You pick!). HACK! I know some of you guys are looking to reduce your sugar intake or follow a sugar free diet- This CAN be made completely sugar free- Simply swap out the coconut palm sugar with a granulated sub sweetener of choice! 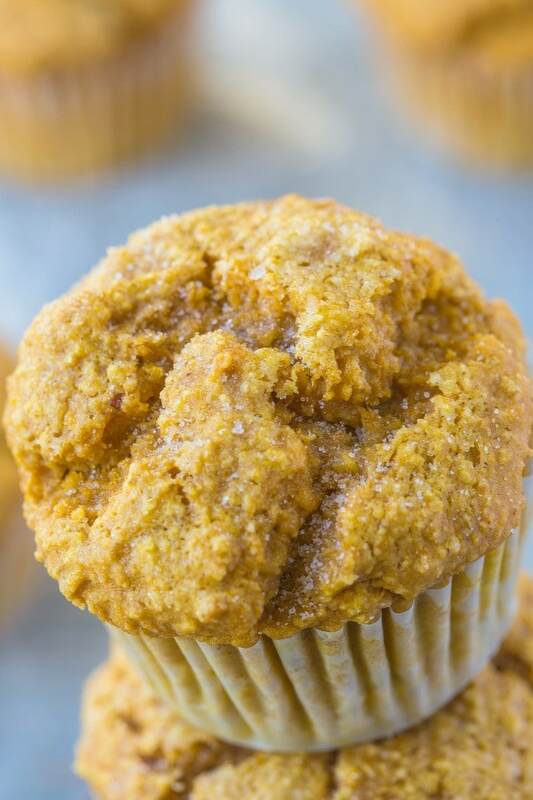 Make these healthy flourless sweet potato muffins and save me a seat at your Thanksgiving table. I’ll bring these muffins, minus the hungry and coffee-less persona. 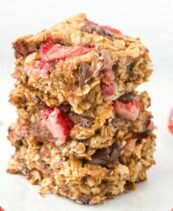 In a small bowl, whisk the milk, vanilla extract and egg/flax egg. Pour into the dry mixture, along with the mashed sweet potato. Add the melted nut butter and mix very well until a batter is formed. Using a 1/4 cup, pour batter into the patty pans/muffin liners/muffin tin until almost full. Top with extra cinnamon and bake for 25-30 minutes, or until a toothpick or skewer comes out clean. Are you human before caffeine? 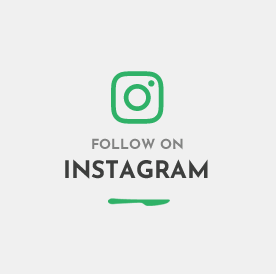 Oh man I want to eat every single recipe you just posted right now! I need to eat breakfast! this is why i love sweet potatoes, they can be incorporated into any meal ranging from enchiladas to muffins! I can’t get enough! I can’t believe it’s already November, goodness gracious, skidamarinki doooooo! <- Sorry. These muffs look so tastic, I want the whole lot of them! You just brilliant, sir. You brilliant. Hahahah I am stealing that line. I’m so excited to try this recipe! 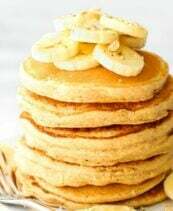 We are trying to cut down on carbs so I’m wondering if I could substitute almond or coconut flour? Do you have any suggestions for replacing the oats? Thanks! Hi Nicole- did you ever try with coconut or almond flour? Love these gorgeous muffins, Arman. Yeah, let’s not rush the holidays (or days in general.) I’m with you, gonna savor the November days and THEN we’ll free fall into Christmas. Throw me a muffin! Send a basket of treats already, would you? The end. I’m all about flourless muffins! I love sweet potato too, especially this time of year! Thanks Natalie! Have a fantastic Thanksgiving! YUM to the OOOOOOOO! These look heavenly! Thanks Kaila! Hope you have a fantastic day today! Oh my gosh sweet potatoes. I love them. Your muffins look awesome, but I’m also totally drooling over the home fries. My favorite way to eat a sweet potato is either roasted or in a casserole on Thanksgiving with marshmallows on top. I totally want lunch now. HOW amazing do they look? I like white potatoes more but then saw them….hello. These muffins though. They’re everything. I want to stuff my cheeks full of them! Hahahaha SEE? this is why I can’t use ovens. Hope you have a great Thanksgiving today, Sarah! eat some Tofurkey. 🙂 (ew, don’t). I remember having a caffiene dependency and it was the worst! If I didn’t have coffee in the AM I got a headache. I finally got off it and have been decaf ever since. I still drink coffee but just for the taste and warmth. Oh wow- I’m impressed! I am so lost without coffee! 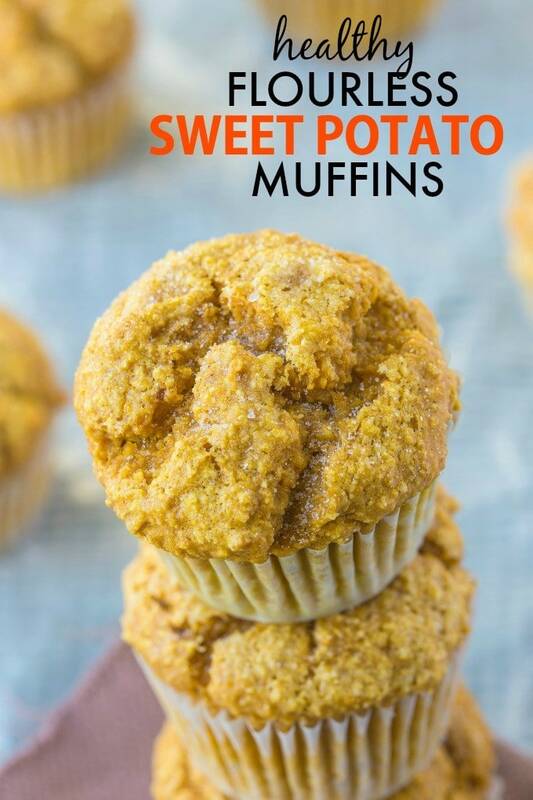 My favorite way to eat sweet potato is probably in bewb muffins. Hahaha AMEN. BEWB muffins for life! These muffins look so good, as do the other recipes! Oooh, it depends! I gotta have my green tea fix all the time, but I do love people! 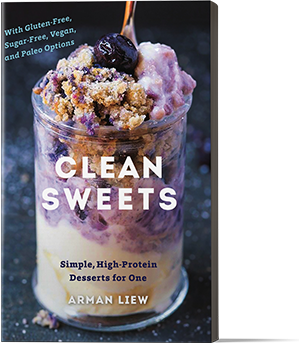 I love all of the recipes you collected in this post, Arman, including yours! Knowing that I am the biggest sweet potato fanatic, it’s time for me to go crazy!! I am seriously excited to make these muffins. I have all the ingredients at home already, including the palm sugar. Woot woot! These are the best healthy muffins I have ever made. 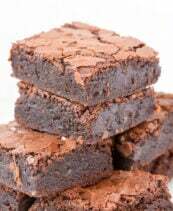 They are delicious and moist, and I will definitely be making them again for my family. Hi Nicola! Yay- I’m so glad you’ve tried it out! Hmmmm…Do you mind me asking if you used canned sweet potatoes or you steamed your own? They tend to impact the cooking time a little it! The bottoms shouldn’t be soggy though- The centre should be really moist…..
Made these today and yummy! I used coconut flower sugar only a quarter cup and added a few walnuts. Love the spice in them. Mine turned out a little heavy. Maybe because I used a gluten free flour mix (123 Gluten Free brand) think I needed a bit more baking powder or cook an extra few minutes. But still delicious! Thanks. Hi Donna! I’m so glad you enjoyed them- Thanks for the feedback regarding that flour blend- I’ve never tried it before! 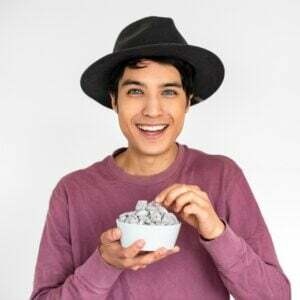 meant to say *still healthy* – not healthier! 😀 – I didn’t have another sweetener on hand. 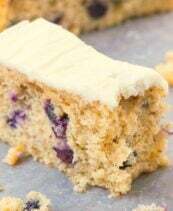 I started with your mom’s blueberry cake/load recipe and now I’m just working through anything that is AIP with my favorite foods. What would you sub the nutmeg and cinnamon for if you were me and liked sweet potatoes for their savory expressions? It’s in the oven now, i sprinkled salt across the top instead of more cinnamon and i also felt like sprinkling drinking chocolate powder across the top for a sweet salty treat. Hoping the warm fall spices do okay with the combo but figured if not, i’d trim the top off. Doubt it will be a disaster but we’ll see! Pet peeve: when a recipe has “flourless” in the title and I get all excited, thinking I’ll be able to make it for my daughter who has an intolerance to grains… Only to find out there is in fact flour in it! Oat flour, or some other gluten-free flour… But it’s still flour. Sorry… I really do like a lot of your recipes (and I might just have to make this one for myself and hide it from my daughter!? ), but quite a few if them have deceived me in that way and I just had to comment on it. I can’t tell from the picture or the other comments… did you use yellow sweet potato or orange yams for the recipe? Hi Kellie! I used orange, but any should work! First of all, I made them and my husband and I just loooved them!!! So since it is me and him only, I baked half and the second half I kept it on the freezer. Two mornings later I added a extra 1/2 tsp baking powder and they turned out so good as the first bake. Thank you for this recipe!!! Thank you SO much for your kind words, Dianna- It means a ton! I just made this for my toddler and I and they were delicious! Most importantly he ate them up too! Thank you!! Thanks for the reply! I tried these before I received the reply and I don’t know if I did something wrong or they’re just not for me lol. I used peanut butter (since that’s what I had on hand) but that’s all you could smell almost 🙁 It just seemed like a weird mix of sweet potato and peanut butter 🙁 What kind of nut butter do you use? Liked the consistency of the batter and the smell of it until I added the peanut butter. Could you also leave out the nut butter? I finally had a chance to make these. They. Are. Amazing. Thanks so much for the recipe!! You are so welcome, Patrick!